The Mubārak month of Ramaḍān comes but once a year, during which Allah Ta’ālā showers innumerable blessings upon the Ummah of Rasūlullah (s.a.w). 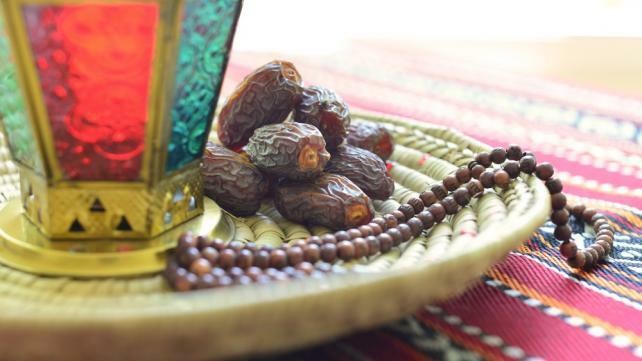 One of the outstanding and distinct benefits of Ramaḍān is that if the fasting person spends his time correctly he will reap the benefits and rewards of Ramaḍān, throughout the remaining eleven months of the year. Similarly, if one wasted his time in trivial and futile activities, he can only be blamed for incurring such a great loss. Therefore, all my Muslim brothers and sisters should prepare a schedule for the month of Ramaḍān in which, according to inclination and opportunity, they set aside some time for additional acts of devotion. 1. Just as one partakes of Sehri (predawn meal) , and physically prepares for the rest of the day, one should consider the importance of preparing oneself spiritually, by performing at least 8 or 12 Rak’āt of tahajjud, and if time permits, one should engage in Dhikrullah and recite SubhānAllah, La iIāha Illallāh, Alhamdulillah, Allahu Akbar, and Istighfār. These magnificent phrases should be recited regularly after the five daily Fardh Salah. 2. Seek the night of Laylatul Qadr during the last ten days of Ramaḍān by observing the Sunnah I’tikāf. If that is not possible then one should try to at least spend as much time as possible in the Masjid, as Nafl I’tikāf. 3. To obtain the reward of this unique and virtuous night, if possible, the whole night or most of the night should be spent in Tilāwah (recital of Qurān), Dhikrullah and Salāh etc. There is no objection in partaking of food or discussing religious matters as long as these acts do not distract one from his/her objectives . It should be borne in mind that by staying awake, the Fajr Salah should not be omitted. 4. This month is important for the Tilāwah of the Qurān Shareef, as it was revealed in Ramaḍān. 5. It is our duty to recite abundant Durood on Rasūlullah (s.a.w) at all times, but more so in the Mubārak month of Ramaḍān. 6. Fasting during this month is just as obligatory as the five Fardh Salah. Muslims should not be neglectful towards the fasts of this month and should be more mindful of the five Fardh Salāh. Special attention must be given to Tahārah (cleanliness), performance of Ṣalāh with congregation and abstaining from sins. 7. In this Mubārak month, it is more important to stay away from evil than performing good deeds. One should endeavor to protect the eyes, ears, tongue, heart and all parts of the body from the minutest sins. One should especially refrain from slander and harmful talk. Kindness, good manners and the remembrance of Allah are the ornaments of this month and these should not be destroyed by vulgarity and bad manners. 8. This is the month in which sympathy should be shown to the needy and poor. Therefore, one should give as much as can be afforded as Sadaqāh (charity), Iftār, Sehri etc., as preparation for the hereafter. It is stated in the Ḥadith that anyone who provides a fasting person with Iftār, his sins will be forgiven, he will be saved from the fire of Jahannum, and he will receive as much reward as the person who has fasted. Charity must be given with utmost sincerity without hoping for any sort of fame and popularity. A good method of giving charity is to send some money at the end of every ten days with the intention of reward to the homes of the poor and needy ( those who do not go out to beg). 9. On the night of ‘Eid, an effort must be made to stay awake, and knowing that it is the end of the Mubārak month, every single believer should seek forgiveness and beg Allah Ta’ālā to fulfill his/her needs. Similarly on the day of ‘Eid, one should use the Miswāk and apply Itr (perfume), and change into clean clothes. All these must be done with the intention of observing the Sunnah and not in emulation of the disbelievers. The day of Eid is a day of happiness, as an the Ummah of Rasūlullah i we are bound to express our happiness because it was only due to Allah Ta’ālā’s grace and mercy that we have been able to fast and fulfill all the pertinent obligations pertaining to Ramaḍān. Contrary to this, on the day of Eid, we find our Muslim brothers and sisters indulging in all sorts of unlawful activities. How wonderful it will be if our brothers and sisters could show other nations what a true Islamic festival the day of Eid is!